At Southern Arch we strive to provide the highest quality materials and service for an affordable price. From its owners and employees at all levels, Southern Arch takes pride in salvaging our own antique lumber and building materials through the meticulous deconstruction of each historic property with our own hands. Locally owned and operated in Southern LA, we view the historic landscapes and surrounding areas as an urban forest from which we can harvest the raw materials needed to craft our unique products. We truly believe, from floors to doors and everything in between, these unique, historic pieces that have withstood the tests of time, should be accessible and affordable to all. Perque Flooring is a time-tested, locally owned, and family-operated franchise, that has been helping homeowners and property managers balance style and budget since 1955. Read more about how we got where we are today and where we are heading in the future. At Perque, we pride ourselves on providing detailed and accurate, free estimates for our clients. Our free estimates offer our clients the confidence to make informed decisions about their flooring purchases. Our free estimates are just the first step in our professional installation process. See our installation page, to learn about how our experienced estimators and installers work to provide you the best quality at the best prices. 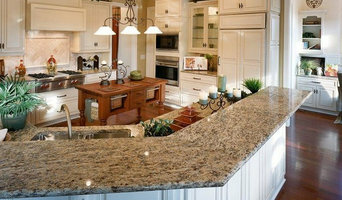 As a second generation floor installation family, we may be a new company, but we are not new to the flooring industry. Our 20+ years experience helps with every decision you have to make, from choosing the product that best fits your needs to evaluating the condition of your current floor. 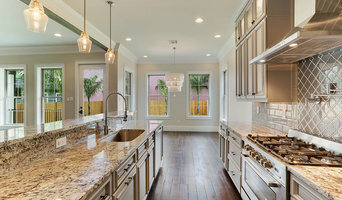 Having been in the New Orleans area for over 40 years, we know the conditions of our climate, which plays an important role in choosing the materials for a successful installation. Our knowledge & experience can assist you from choosing the appropriate material to having a successful service in sales & installation. 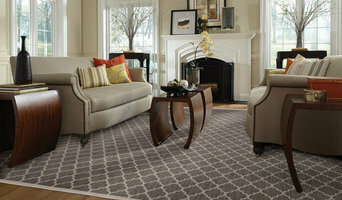 We are a proud member of Carpets Plus & Color Tile which give us national pricing to give you lower prices at all times. 100 % customer satisfaction guaranteed. FloorMasters of New Orleans is locally owned and specializes in hardwood flooring installation and refinishing. Our services are provided to commercial and residential clients. Since 1959, Ron-Del Floor Service has been proudly serving the entire Greater New Orleans and surrounding areas with the finest quality flooring services. We are dedicated to providing customers with the the best service and experience possible. Unlike the big box store, when you come to Ron-Del Floor Service you will receive the hands-on service you deserve. We offer a range of services, from installation of new flooring to refinishing an old floor to make it look like new again. Our prices are always fair and we will discuss one-on-one with you the options available to you that both fit your needs, as well as your budget. Whether you're a residential or commercial property, we have the knowledge and tools necessary for all of your flooring needs. Contact us today or come to see our showroom to discuss what we can do for you! 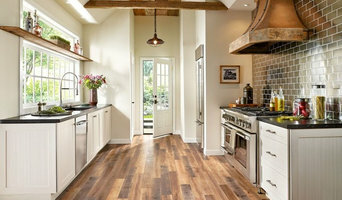 At Classic Hardwood Floors, LLC we pride our company on reliability, great communication, integrity, & quality work. We will do our best to keep you as educated as we can on your particular task or project. Call today for your estimate! Where can I find the best New Orleans, LA carpet fitters? A carpet professional will often both supply and fit carpets. A full service carpet professional can offer everything from a catalogue of carpet colours and pile options to carpet accessories like underlay, gripper rods and door plates. Carpet fitters will need to measure your home and they will provide you with an estimate for materials and fitting service. Similarly, if you need someone to help with carpet repair there is a dedicated carpet professional in New Orleans, LA just a few clicks away. Check the reviews of carpet fitters in New Orleans, LA and look out for those who are members of trade organisations such as the NICF (National Institute of Carpet & Floorlayers) or the National Carpet Cleaners Association (NCCA). On Houzz you can search for flooring specialists and carpet fitters in New Orleans, LA and start to shortlist companies by adding your favourite images to an ideabook. Think about the style of flooring or design of carpet that might best suit your room and then approach the most relevant experts who can then fit your carpets, lay tiles, install hardwood floors or show you how to fit laminate flooring. Your carpeting and flooring professional might work closely with New Orleans, LA contractors, interior designers and others in the home building and home improvement industry. Here are some related professionals and vendors to complement the work of carpet & flooring: Interior Designers, Design & Build, Specialist Contractors, Main Contractors, Home Builders. 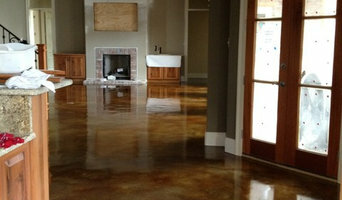 What do I need to ask flooring manufacturers, installers and carpet fitters in New Orleans, LA before I hire them? How long have so been in the flooring business or working as carpet fitters in New Orleans, LA? Find carpet fitters and flooring experts on Houzz. Narrow your search in the Professionals section of the website to New Orleans, LA carpet fitter and flooring professionals. You can also look through New Orleans, LA photos by style to find a floor design you like, then contact the floor companies or carpet fitters in New Orleans, LA that worked on it.